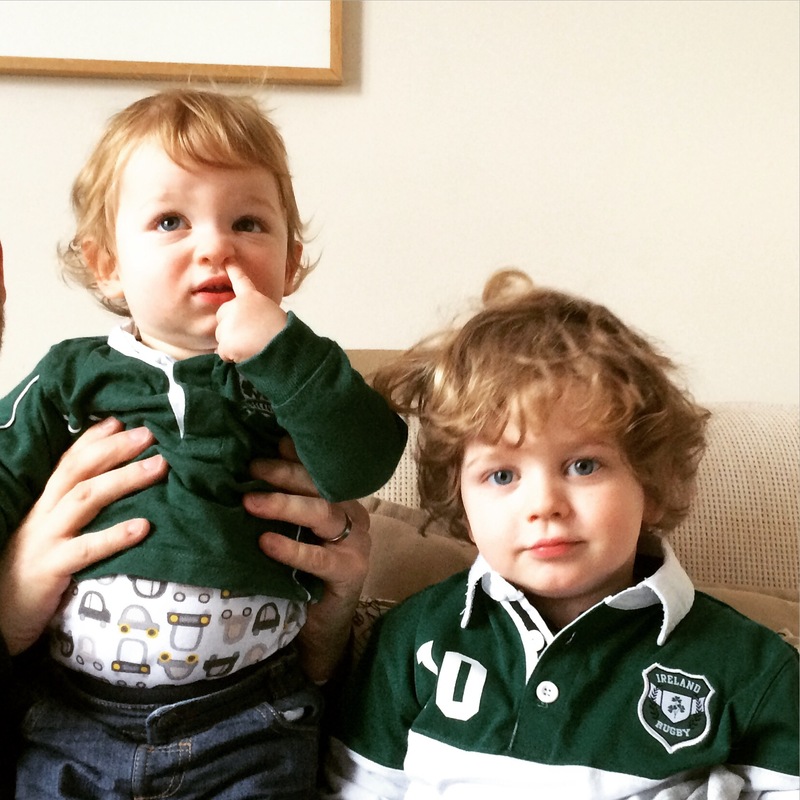 It’s that time of year again when I dress my boys in green, and occasionally white, and we support Ireland and England (in more or less equal measure) in the Rugby Six Nations. I don’t think the boys look too impressed in this photo but it’s a funny one so perfect for this month’s Siblings post! Elliot and Alexander have been navigating a new side to their friendship this last month, in that Alexander is now getting more active and just wants to do whatever it is that Elliot is doing. He idolises his big brother and it’s as cute for us to watch as it is annoying for poor Elliot who just wants to get on with playing “World’s Strongest Engine” by himself!! On a brighter note, we’ve all been enjoying Alexander learning the actions to “Head, Shoulders, Knees and Toes” – he’s so cute with it and seems to be most pleased with himself too! As always I’m joining in with the Siblings linky over on Dear Beautiful Boy. Why not go and take a look?